After 60 years, Saab might have reached the end of the road. General Motors Co. said this afternoon that it has received “expressions of interest” in its Saab brand, and that the GM board will evaluate potential bids by the end of December. “At that time we will determine whether a suitable arrangement for Saab exists. If not, we will begin an orderly wind down of the global Saab business,” a GM statement said. The automaker declined to comment further. Meanwhile, Dutch sports car maker Spyker Cars NV and its Russian owner, Converse Bank, on Monday submitted a bid to buy Saab, according to a source familiar with the matter. The source said said Spyker submitted a written bid to Deutsche Bank seeking to buy all of Saab from GM. The source declined to reveal the amount of the bid. Spyker currently makes sports cars priced above $200,000. Also, GM's plans for the brand, such as a new 9-4X crossover, “look extremely viable” to Spyker's management, the source said. Over time, Spyker would benefit through shared technology and parts. GM's board met today to review the plans for Saab after a pending deal to sell it to sports car maker Koenigsegg Group AG fell apart last month. 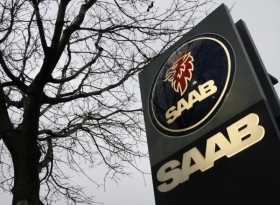 According to a report today by Bloomberg News, GM may sell parts of its Saab unit to Beijing Automotive Industry Holding Co. and shutter the brand. In that case, Spyker likely would pull its bid, according to the source. Spyker's concern would be that suppliers would walk, the dealer body would fall apart and consumers would lose confidence in any brand that was dismantled, the source said. GM bought 50 percent of the company in 1989 when Saab was established as an independent company. It bought the rest in January 2000. Saab has not made a profit since 2001. Saab has said it lost about $340 million in 2008. GM has not released more recent financial information for the brand.